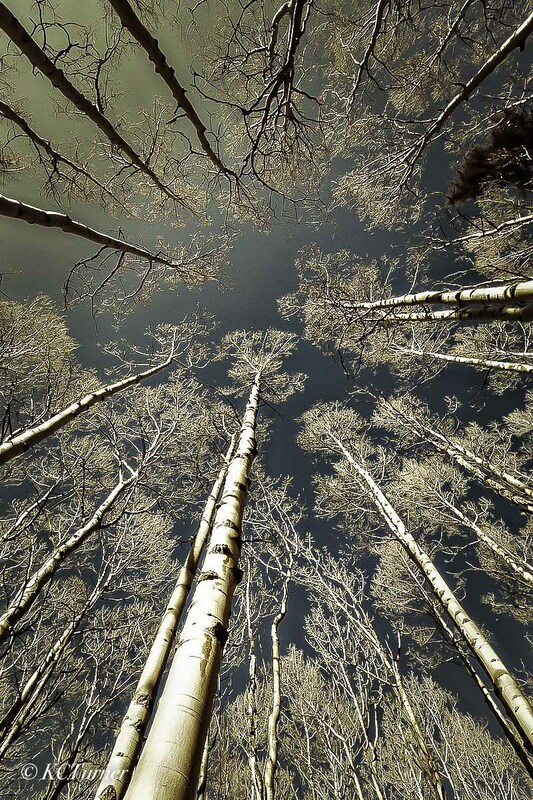 Some times looking up appears the same as looking down as this treescape photograph of a group of Aspens invited me to capture the rich monochromatic sepia tones while on location in the vast Pike National Forest of Colorado. Photo © copyright by K.C. Turner.